Been awhile . 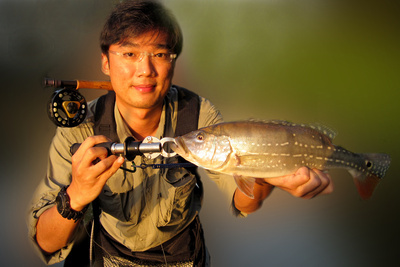 . .
Its been a while since I last did fly fishing in Singapore waters. Work has been crazy since I came back from Maldives. To keep some sanity, I decided to follow my friends to hunt for temensis.The fishing ground was simply beautiful and it almost instantly refreshed my mind. I waded into the water cautiously in case of uneven ground because a careless slip will end myself completely drenched. There were surface actions almost everywhere. All of us whipped our delicious fly recipes and we were rewarded with peacock bass and temensis throughout the morning. Good sized Peacock bass that really fought hard. Not a big temensis but no doubt a persistent fighter at its own class. 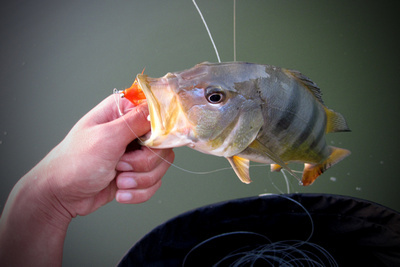 An introduction on the phantom ghost before my Maldives Flyfishing catch report. 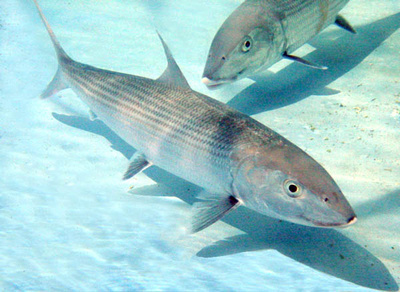 The bonefish is the type species of the Albulidae, or bonefishes. It is amphidromous, living in inshore tropical waters, moving onto shallow tidal flats to feed with the incoming tide, and retreating to deeper water as the tide ebbs. Juvenile bonefish may be observed in large shoals of like-sized individuals with large mature fish swimming in smaller groups or in pairs. Bonefish are considered to be among the world’s premier Fly game fish and are highly sought after by anglers. The bonefish, also known as phantom or gray ghost, is probably pound for pound the strongest and fastest running animal in the collective of salt-water fish. Bonefishing is a deep-water pursuit done in depths ranging from 18 to 88 feet. Ledge sporting currents; dropoffs along the edge and clean, healthy seagrass beds produce abundant small crabs and shrimps that bonefish prey upon.